John A. Napolitano was born in Brooklyn, New York and attended Villanova University (B.C.E., 1982) and St. John’s University (J.D., 1985). Mr. Napolitano was admitted to the bar in New Jersey (1986), to the bar in New York (1986), and the United States District Court of New Jersey (1986). Mr. Napolitano practices in the areas of governmental entity, environmental and construction law. Mr. Napolitano has over twenty years experience representing wastewater authorities. 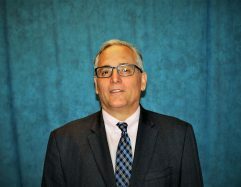 He currently serves as general counsel to the Pequannock Lincoln Park Fairfield Sewerage Authority (TBSA), the North Bergen Municipal Utilities Authority, the Secaucus Municipal Utilities Authority and the Bayshore Regional Sewerage Authority. He serves as general counsel to the New Jersey Water Environment Association. He served as a member of the board of the Association of Environmental Authorities and currently serves as its general counsel. He serves as special counsel to the Borough of Oakland on sewerage related matters. Mr. Napolitano also serves as counsel to the Hudson Regional Health Commission and general counsel to the County of Morris. Mr. Napolitano previously worked with the engineering firm of STV/Seelye Stevenson Value and Knecht and was a Professional Engineer licensed in New York.